In 2011, 42 percent of Americans who died were cremated. That’s double the amount of cremations than just over a decade before then. In 2013, that number rose to 45.1 percent and is projected to be as high as 70 percent by year 2030! Why is cremation on the rise? In 1963, the Catholic Church removed its ban on cremation, and moved to accept it as a religiously reasonable form of handling the remains of a deceased loved one. In the 60s, Catholics made up nearly 30 percent of Americans, while today they make up 23 percent. Because the Catholic Church is a large, influential institution, their decision likely affected those of other Christian denominations as well. Since so many Americans were now free to choose cremation, the amount of cremations began to increase. But, other factors play a role in people choosing cremation over burials as well. 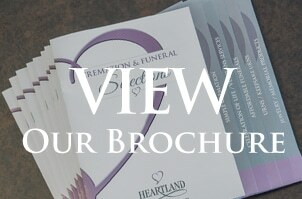 As of 2012, average cost of a funeral burial service is $8,343. For this reason, many Americans pay for life insurance policies so their families won’t be burdened with the heavy cost of burying them after they’re dead. However, the average cost of a cremation service is $3,190. A simple cremation, without holding a formal service, can cost as low as $2,245. This is significantly lower than the cost of a burial, allowing your family to be free of financial burden. By burying your loved one, you are limited to a specific service that doesn’t allow much room for finding creative ways to say goodbye. With a cremation, many different innovative solutions are available for saying goodbye to your loved one. How would you want to be remembered? How would your loved ones want to be remembered? How will your family best be able to say goodbye and heal from their loss? 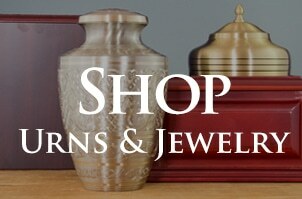 With these cremation options, plus so much more, you can find closure in a fashion that truly represents how the departed lived.